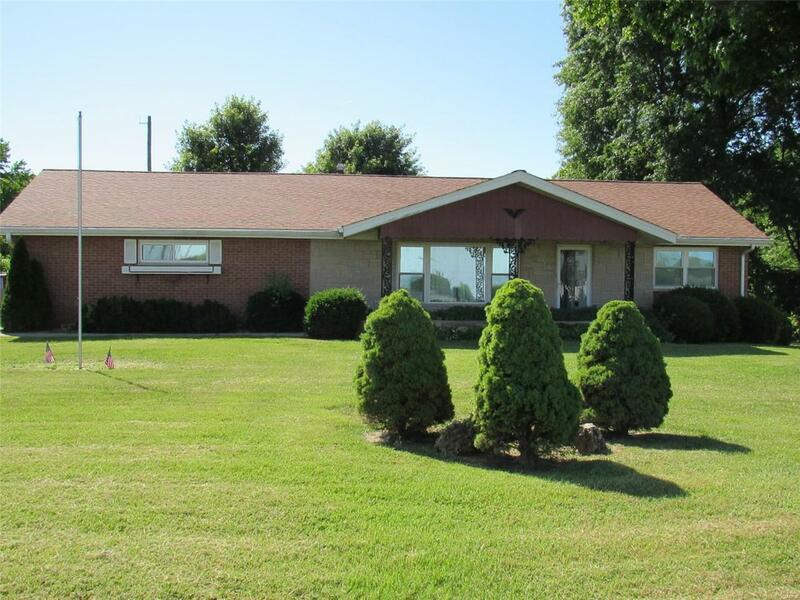 Wonderfully maintained 3 bedroom, 2 bath full brick ranch on large corner lot with deep front yard, side entry garage and fenced back yard. Enjoy the peaceful back yard setting from the covered patio. Step inside to appreciate the space and room to spread out. Main level features a large family room, nice sized bedrooms, spacious full bath, kitchen, dining/family room with fireplace, additional 3/4 bath and sunroom which leads to patio. Downstairs you will find more usable square feet in a living room, rec room, family room with second fireplace, and huge laundry/storage area with sump pump. The perimeter of the basement has a trough system to prevent the basement from water seepage. 2 car garage features workshop and storage. All appliances are included in the sale of the home. Curb appeal, beautiful landscaping, and tons of space inside and out make this an amazing home in a great location. Make an appointment today!